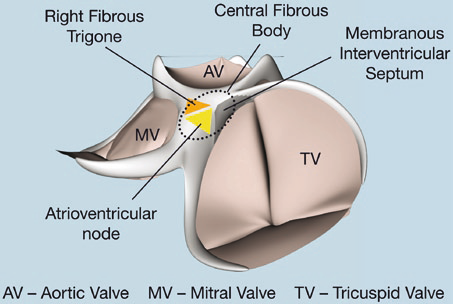 The overall structure and function of the heart depends on a widespread ‘honeycomb’ of connective tissue that courses throughout the heart, providing support to its cellular component. This is in turn supported by a more substantial network of dense connective tissue called the ‘fibrous skeleton of the heart. 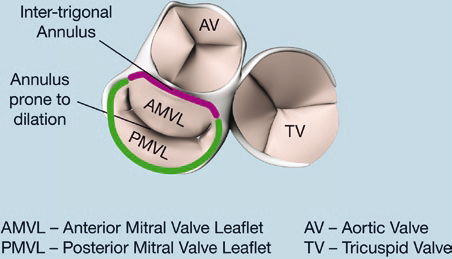 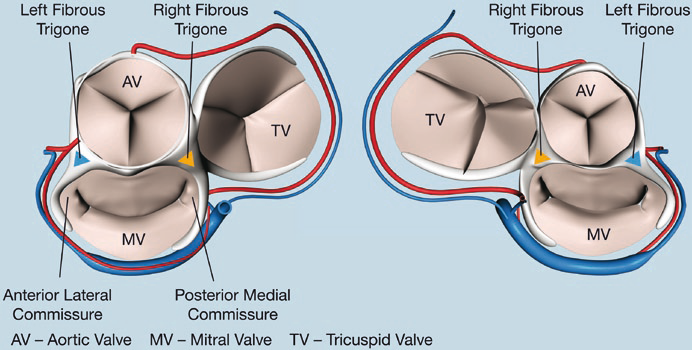 It stabilizes the base of the ventricles and therefore provides a relatively inflexible but partially deformable scaffold for the annulus of the mitral, aortic and tricuspid valve. Serves as an electrical insulator between the atrial and ventricular component which is only interrupted at the AV node.